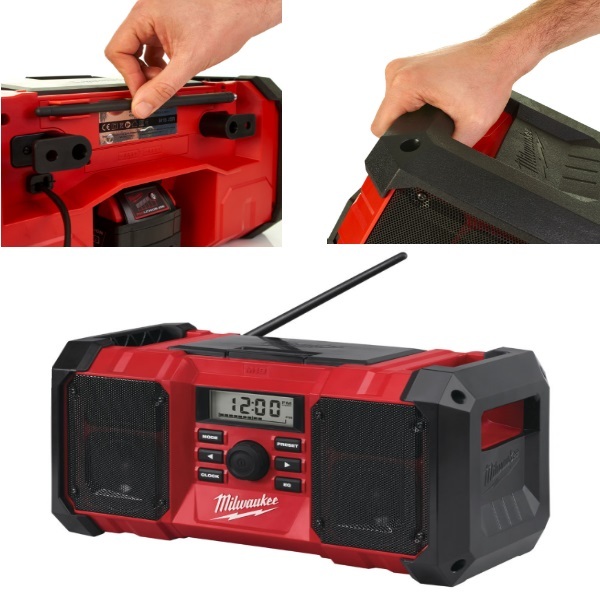 The Milwaukee M18JSR-0 Jobsite Radio (non DAB) is a high performance audio system built for jobsite with shock absorbing end caps and metal speaker grills which help to protect it from drops, water and debris. The integrated carry handles make it very easy to move this radio to wherever you need it to be. 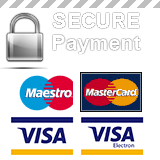 The AM/FM tuner with digital processor delivers highest reception accuracy and signal clarity. The customisable equalizer gives enhanced sound quality and features a 10 station preset This radio can be powered by 240v mains or alternatively any of the Milwauke M18 range of batteries. Up to 12 hours of run time can be expected when using a fully charged 18v 5Ah Red Lithium Ion battery on this tool.